Of all the common dream scenarios, exam dreams can be the most confounding. Why so many years after sitting exams at college or school, would you dream about having to sit for one? Because these stressors, the exam room, the ticking clock, the exam papers. . .all these memories lie asleep until a similar stress brings them flooding back to us in a sea of anxiety. 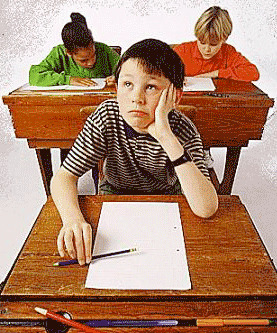 Examinations are one of the most stressful experiences of our lives, thus it is a perfect metaphor for our dreaming brain to use for any stressful experience we are dealing with in our waking lives related to achievement, failure or success. If you are not prepared for the exam in your dream, what situation in your waking life have you not prepared for? ? Or, is there anything in your life right now that you feel is “testing you”? Failure in a dream test can be a really uncomfortable and stressful experience, encouraging the dreamer to face up to shortcomings that he or she may not otherwise have been able to see. Perhaps you have a dream where you arrive late for an exam, or you cannot find the location of the exam room? This is quite a common nightmare and can occur at any time in your life not just for people who are sitting exams regularly. This means there is some test in your waking life, something testing you and challenging your capability to perform well. This being directly related to an innate feeling we have to achieve and compete. Perhaps you perform well in an exam? This may occur when you feel successful in endevours in waking life. Not limited to exams, you may visualise yourself excelling at a chosen sport or profession. Quite often people master certain activities once they have successfully performed them in their dreams. Have A Great Exam Dream You Would Like to Share With Us? Write About It Here! Do you have dreams where you are sitting an exam and you don't know the answers because you haven't been to class all year? Share your dream or perhaps a tip for another dreamer on how to interpret exams appearing in their dreams! I dreamt that I have an important exam in just one day and i still have a lot of studying to do and am never going to make it.